John Beach was born near Whimsey Bridge in Oldbury. He worked for Edwin Danks and recalls the landscape he grew up in. “We went to school in Oldbury, and our parents came from Oldbury. There were a lot of marl holes and quarries, everywhere you looked somebody’s dug down for something. It wasn’t green, although there were a lot of farms nearby. You’d see cows occasionally coming down Tower Road. I don’t think there were many trees about, if there were you’d have them for Bonfire Night. It wasn’t green, it was grey. There were a lot of smells. Spalding’s was terrible, it was like a knackers yard really. Oh, the smell. When you walked up the road from Birchley you had hold your breath, because you needed a strong stomach to walk on that side of the road. It was nauseating. My grandfather worked at the marl hole at Newbury Lane, where the council refuse depot is now. He was called an engineer, but he worked in the engine room, where they pulled the tubs up from the bottom for the hole with the clay for making the bricks. That’s where he spent his entire life, digging that hole. My father was a sheet metal worker, a manual labourer basically, and my mother worked at as a stores assistant at Accles and Pollocks. My first work was a paper round for 5 shillings a week, morning and night. I used to get 3 shillings in tips as well. I delivered papers from Aplins Newsagents. I had a new bike, a drop handled Raleigh, bought on hire purchase over 12 monthly payments. 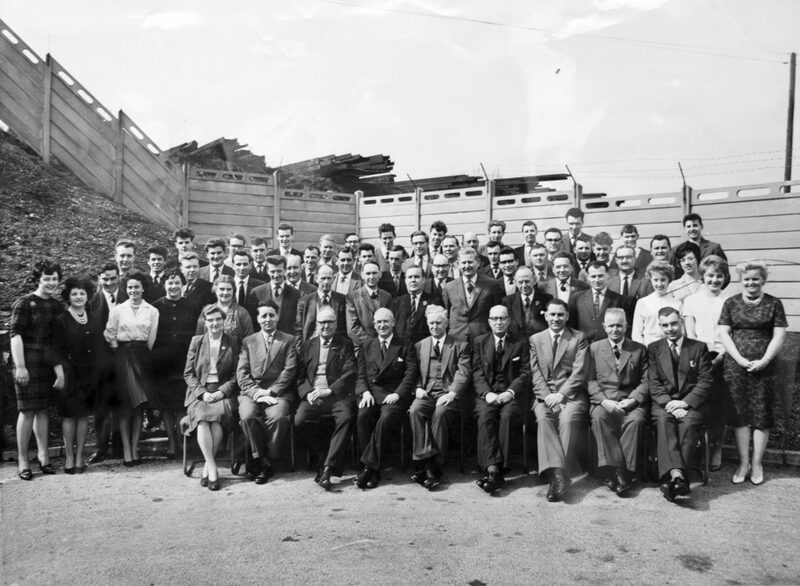 Staff at Edwin Danks Factory, 1963. The bike was a wonderful instrument for us because it gave us freedom. Our parents never bothered where you were. It was not that they didn’t love you, you just did what you wanted to do, there here were no restrictions on you at all, as long as you went back home when your Mom used to feed you. That’s how life was then. But the bike was the independence. That was for everybody really. Life was good. After 12 months, I swopped my paper round for a Saturday job delivering groceries, getting 15 shillings. I did that for about two years. One day I went over the handlebars with a full load on. All the groceries went over the floor in Dingle Street. I put everything back into the broken and battered boxes and I still delivered them. The ladies were very forgiving as they could see my cuts and bruises, but not long after that I packed it in. I started by apprenticeship at Danks. I was 17. 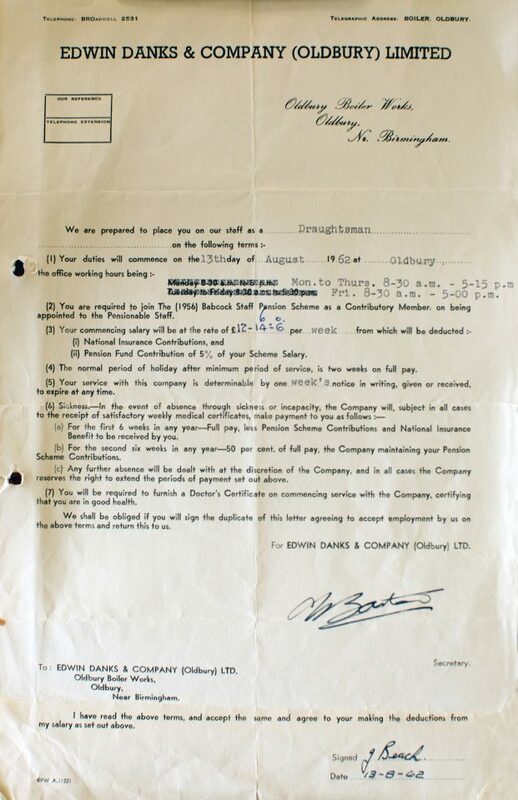 It was an apprenticeship for being a draughtsman and my parents had to sign this indenture with a witness and the form signed it as well, basically saying they would give me a job for five years. 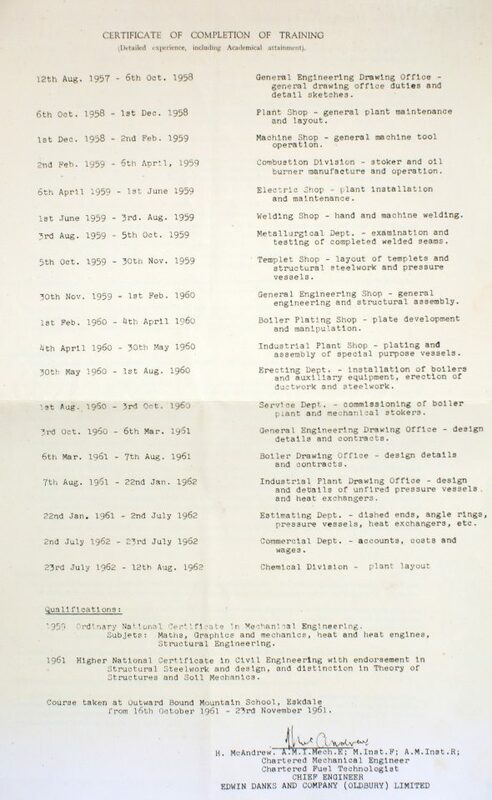 The Indenture laid out what you would do over the 5 years and at the end the chief engineer signed it. After completion I was then offered a job for 12 pounds and 14 shillings a week. That was 1962. They employed about 300 people at that time in the factory. Apprentices were allowed a day off a week to go to college to get higher qualifications, then you’d have night school as well. It was very intense but enjoyable. That was the direction you went. I never saw grammar school or university as an aim. I remember my mother saying she’d rather I didn’t do the entrance exam for grammar school, as if I passed she wouldn’t be able to afford the uniform. So I never did the 11-plus. I saw myself as an engineer or draughtsman, so I took an exam for technical school and did that. Then you had to write for jobs. I’d got reasonable qualifications from technical school, so I wrote to Edwin Danks and was taken on. They took on about 7 apprentices a time, starting off in different departments. Indenture Document, Edwin Danks, 1962. In 1868 Edwin Danks established a company making canal boats and boilers. 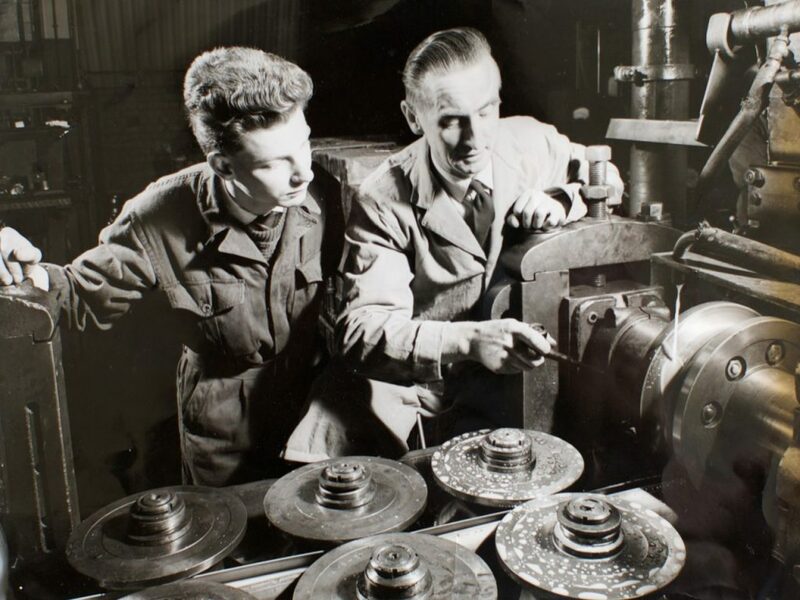 Joan Beach worked at Edwin Danks and recalls her father's time at Tube Products.